In today's post I want you to introduce to the best jacket styles every woman should own in her closet! In modern life, jacket is not only a perfect cozy topper what will save you from cold and rainy days, it's also a glamour layering piece that should attract everyone's attention. Plus, it has to fit most of your closet outfits. Modern designer brands offering us loads of cool toppers, but some of them are great for one or two seasons wear. That's why I've decided to share with you versatile outerwear designs what can be used as dressy, relaxed and casual wear. if you are a cool girl who likes creating fabulous looking outfits, then I am very pleased to share my favorites with you! We see grey quilted bomber with blue sleeves. You can wear it with plain white shirt styled with white polka dot blue skinnies. Complete the look by adding Wayfarers and burgundy beanie. The first one's name is boucle jacket. It's a perfect style for those ladies who like sophisticated and feminine styles. This is quite versatile topper that can be worn with office and everyday street style separates. Next design is called an utility jacket. It's super chic choice, what most of time comes in army green and olive green shades. You can wear it from weekends to trips. 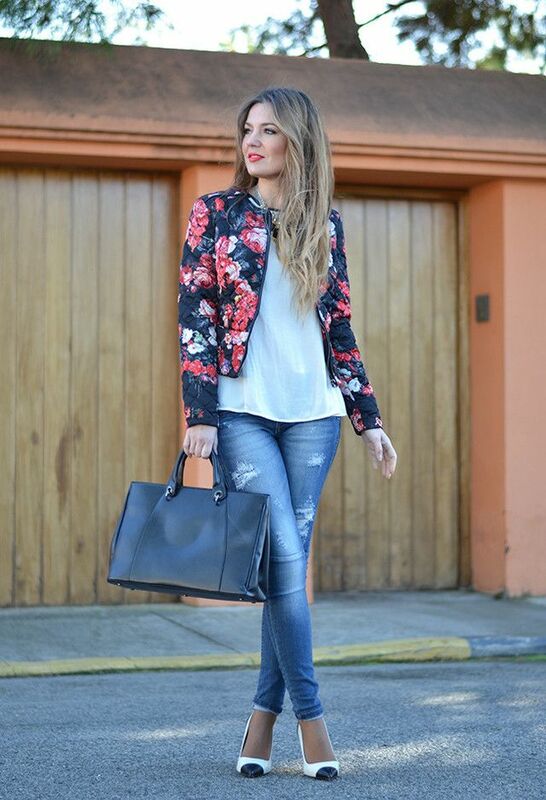 Denim jacket is a timeless style, what is versatile and extremely practical. You can wear it with anything you want, starting from crispy white dresses to maxi gown and cool urban ripped jeans paired with tees. A trench coat jacket is another timeless must-have, what can be worn with absolutely anything you own. Leather jacket is a piece for edgy ladies. You can wear them with skinnies and even with ripped boyfriends. Bomber jacket has a kind of sporty touch, what makes it look cool and street style friendly. Anyway, let me know your thoughts in the comments below.